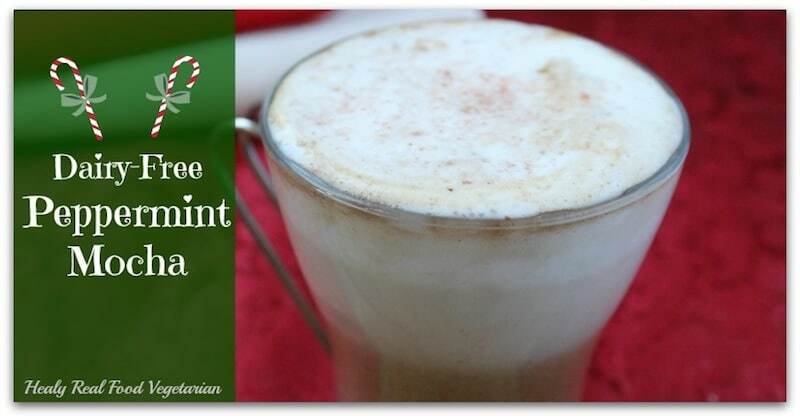 I love this naturally sweetened vegan peppermint mocha recipe! It's a healthier rich and frothy version of your holiday favorite! 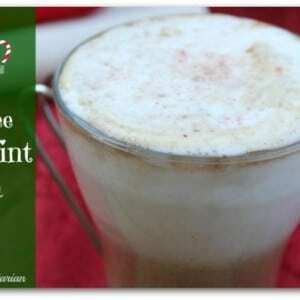 I love this naturally sweetened vegan peppermint mocha recipe! 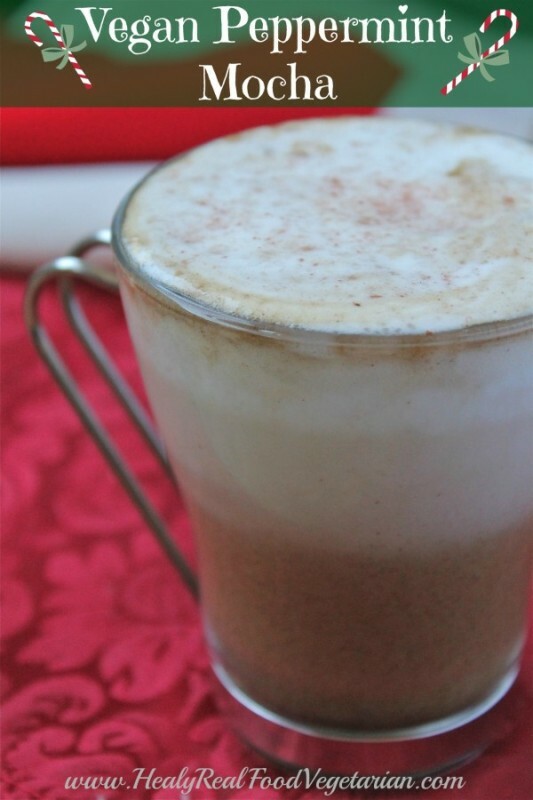 It’s a healthier rich and frothy version of your holiday favorite! During the holidays all the big coffee shops have their special holiday drinks. It’s hard not to get swept up in the fun of the season and just cave in, but I have to remind myself of all the sugar and artificial flavors in these drinks and that I usually end up feeling awful after drinking something like that. 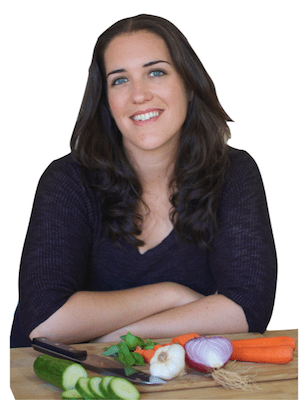 Now, I’m as human as the next person; I cave to temptation from time to time, but often there’s no need to when my brain is constantly reminding me that I can make a healthier, cheaper and just as tasty version at home! 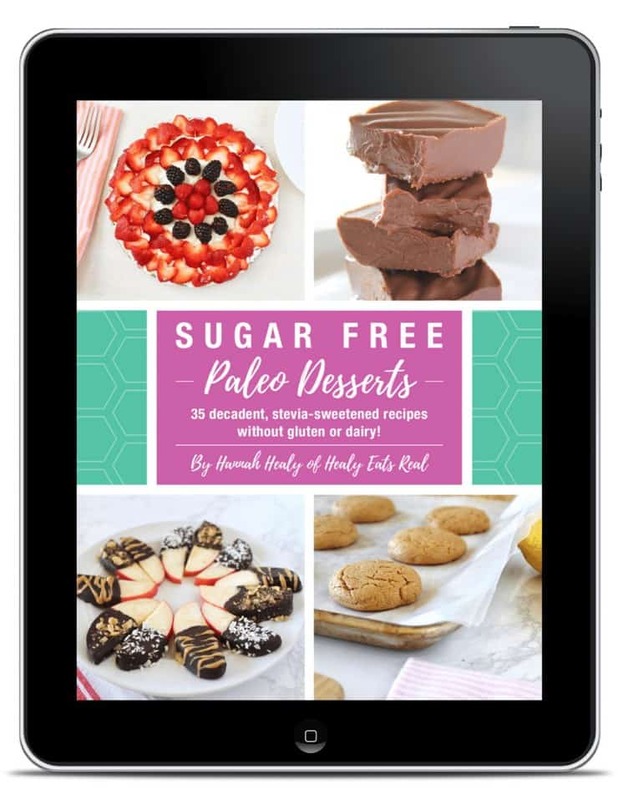 A version that won’t result in a headache riddled sugar come-down. If you haven’t seen my other drinks you can check out my pumpkin spice latte & my gingerbread latte. To make espresso at home you can get a big expensive espresso maker (which I do not have) or you can get a stovetop espresso maker like this. If you don’t often make espresso or don’t have an espresso maker you can always substitute the espresso for some very strong coffee. For this recipe I used a stovetop espresso maker. Once the espresso is done brewing, pour 1-2 shots of espresso into a mug and add the cocoa powder, peppermint extract and coconut sugar. Stir well. To prepare the coconut milk (or almond milk), put 1/2 cup coconut milk in a saucepan or pot over medium heat. Turn on the heat to medium and continue to stir. Once the milk is warm begin to froth it with the milk frother. After a few minutes it will create fluffy latte foam. Turn off the heat. If you don't have a milk frother put the warm milk into a blender and blend. Pour the almond or coconut milk into the mug containing the espresso mixture, but leave a little bit of room so you can spoon some foam onto the top. Sprinkle with a little bit of cinnamon on top and enjoy!